Country fans, head this way. 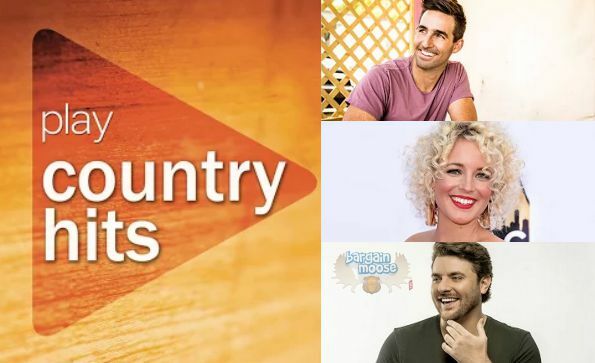 There is a fantastic deal at The Google Play Store this week featuring a mix of ten great new country tunes. Valued at $12.30, this album has currently dropped to only $.99! Country music always screams sunshine to me. If you want to hold on to the last few weeks of summer, buy this album and play it while you sip lemonade. Maybe include a hammock or a swimming pool, and you have some summer memories that will hold you all winter. I spent a bit of time previewing the tunes, which you can do too if you click on the number next to the song title, it will turn into a play button when you roll your cursor over it. I keep going back to the song Rocket by Josh Dorr. This is a new breakout single and has my feet tapping. I can see singing along to this song a lot with this super catchy tune. I am also digging the song Lonely Eyes by Chris Young. This artist rose to the top on the reality TV show Nashville Star in 2006 and is still producing some great tunes out in the country scene. He has produced several albums, and his songs are always solid songs that are good to lose yourself in for a bit and unwind. I took a look over on iTunes and it looks like this mix of tunes is not available. All of these songs over at iTunes price out at between $.99 and $1.29. If you were to purchase each song individually it will run you $12.30 whether you purchase it at Google Play or at iTunes. I love Cam!!! Seriously, she's so amazing, can't get enough of her songs! Thank you so much! Some of my favorite songs! I am a passive country fan and I do appreciate contemporary country after a long stint living in the south just north of Florida where country music is everywhere. This album today is a great mix of contemporary country tunes from artists who are a mostly a little newer to the scene. It is a great price today to stock your playlist with some new tunes.